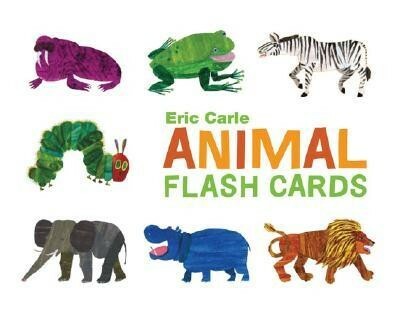 With over 65 million books in print in 32 languages, Eric Carle is one of the most beloved children's book illustrators. His best-known work, The Very Hungry Caterpillar, has eaten its way into the hearts of millions of children all over the world. SinceThe Very Hungry Caterpillar was published in 1969, Eric Carle has illustrated more than seventy books. I'm the author/artist and I want to review Animal Flash Cards.